Need Help Evicting a Tenant? One phone call starts the legal process. In Orange County, that attorney is Steven D. Silverstein." My law firm specializes in tenant evictions and has been representing landlords in Orange County, Los Angeles, Riverside and San Bernardino Counties since 1979. Our main goal in an eviction is to get the tenant off of the premises as quickly as legally possible. We also offer collections to recover lost monies for our clients and one phone call will start the process for you. There is no charge for legal advice and if I am in Court or not available to talk with you I will return your call at the earliest opportunity, usually the same day. You may download a variety of forms to assist you in the eviction process and I have included the procedural steps to guide you through an unlawful detainer. I have sat as a Judge on temporary assignment in both Orange County and Los Angeles County. 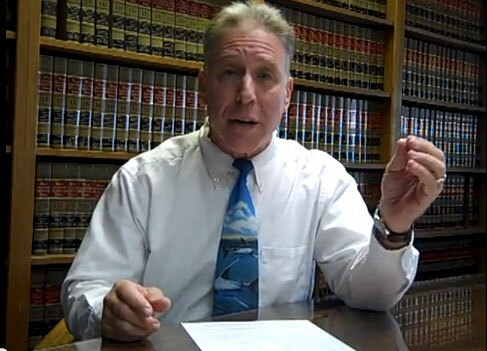 I have also written law review articles, magazine articles, and have been asked to give landlord/tenant seminars, by the California State Bar, to other attorneys in addition to testifying as an expert witness on landlord/tenant matters. "We have used him multiple times. Don't think we have ever lost while being represented by Steven Silverstein!" I would so totally recommend Steven Silverstein and his Law Firm to anyone who needed quick action. I had the worst of the worst in evictions in history, and this law firm and it's staff jumped in, filled the paperwork, went to court and got a judgment right away. I was so pleased with what they did for me on the eviction, that I hired them to collect as well. Well, they jumped back in again and were able to get me money immediately and put them on a monthly collection system. It all was handled in such a professional manner. I can't rave enough about Steven Silverstein and his fine office staff. They mean business and that's the kind of lawyer you want on your side. As an ex owner of a property management company, in Long Beach, I used the services of Mr. Silverstein on several occasions. I found him professional and competent and would recommend anyone to to use his services. As an owner of my own rental properties, in Long Beach, I will be contacting Mr. Silverstein to procees an eviction on my behalf. Yes he can be brusque on the telephone but dont let that put you off securing his services. As a property manager and repeat customer of Mr. Silverstein I will recommend him to any landlord looking for help with an eviction or tenant situation. He is very knowledgeable, continued to push for a stipulation until the end and respected our request to continue to pursue a money judgement. He is confident and effective in his court presence while continuing to have the landlord's best interest at heart. His office is prompt and speedy as can be in an otherwise time consuming process. He even personally called our mutual client to explain a miscommunication that had occurred. I used Steven Silverstein a number of years ago when I had a squatter on my property in Newport Coast. He guided me through the process, charged very reasonable rates and produced an incredible result in a relatively short period of time. We were thrilled with the result. He also encouraged me to put a lien on the offender's record, which we did, and wouldn't you know it - we received a check from the squatter! Unbelievable result! I give Mr. Silverstein very high praise! Use him and you will be glad you did. I've used Steve many times over the past 15 years, and no matter how difficult the case, he comes through for me. I would highly recommend him. Mr. Silverstein is a true professional. He knows the law and is a class act in the courtroom. I have used his services twice and will in the future. Review by R F O. If you're looking for warm and fuzzy, then look elsewhere. If you're looking for tough and efficient, then you've got your guy. Steve Silverstein has been representing me for a couple of years on unlawful detainer matters. Excellent representation. He's tough and he gets the job done. I've used other attorneys in the past, and I've frequently been frustrated by their lack of responsiveness or failure to file certain paperwork in a timely manner. Not so with Steve and his staff. Steven Silverstein was exactly the attorney we needed to deal with horrible destructive tenants. I've used other eviction attorneys in the past who were more gentle and "nice", but that cost me months in delays. Silverstein and his office were referred by multiple Real Estate agents I trust as the best at what he does, and we agree. VERY straightforward, no nonsense, he and his staff got us through a VERY nasty eviction in record time and they did exactly everything they said they would. Their approach saved me MONTHS of dealing with deadbeat drug using squatting "tenants". I respected what Steven Silverstein and staff did for us enough to also get their help on money judgement and collections... SAME EXCELLENT FAST RESULTS. Exactly the right aggressive steps, full communication of the process whenever needed or when I asked, and I was shocked at how fast they collected our money. If you have deadbeat tenants hiding behind the system to steal your rental income and your sanity from you, this is exactly the aggressive bulldog attorney you need. I've been in the property management business now for 25+ years and have been working with Steve Silverstein for 15+ years. I am finally writing this review because I really owe him after a recent day in court. He has always done a great job for us, but this last time he really pulled a "rabbit out of the hat." There was a glitch on my part in the 3 day notice served and he swiftly referred to a law code that allowed a bypass of the glitch and the judge ruled in our favor! Had Steve not been so knowlegable in the law, we would have had to start all over, losing thousands in rent loss. Great job Steve and thanks again!!! !